Nice place to have a day-out! Cancún is a city in southeastern Mexico, located on the northeast coast of the Yucatán Peninsula in the Mexican state of Quintana Roo. It is a world-renowned tourist destination, as well as being the seat of the municipality of Benito Juárez. The city is located off of the Caribbean Sea, and is one of the easternmost points in Mexico. 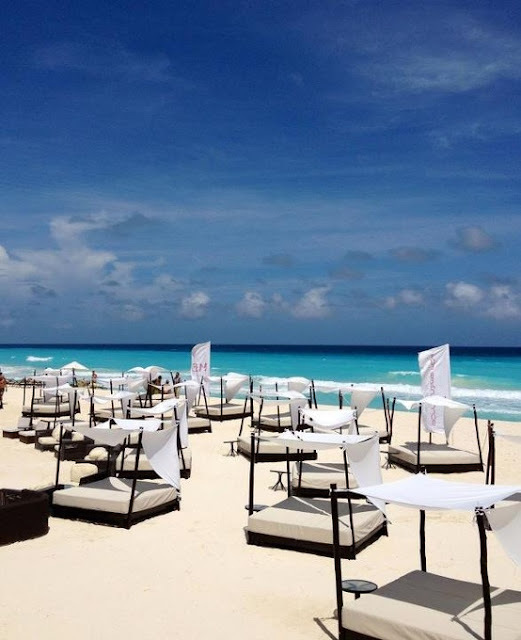 Cancún is located just north of Mexico's Caribbean coast resort band known as the Riviera Maya. Apart from the island tourist zone (actually part of the world's second-longest coral reef), the Mexican residential section of the city, the downtown part of which is known as "El Centro," follows a master plan that consists of "supermanzanas" (superblocks), giant trapezoids with a central, open, non-residential area cut in by u-shaped residential streets. These open centers usually have walkways and 'sidewalks' around a central garden park, or soccer fields, or a library, etc. which make the mainland "Mexican" Cancún bicycle-friendly. The residential roads of central or 'Mainland' Cancún, U-shaped and culs-de-sacs, insulate housing from the noise and congestion of the main flow of traffic. Mainland Cancún has a central market that resembles an outlet mall, colorful buildings on a pedestrian city block.